Yeah, I TOTALLY forgot about working yesterday.... Oops :) Can I play the "I w as sick" card? I DID puke, you know... Anyway, HERE"s my new stuff for the week! Oh yeah, NOT a peaceful sleep last night... I finally went to bed at 1am, and fell instantly asleep. Only to wake up at 4:30am, and NOT be able to go back to sleep. You know, my little deal with myself, about not playing on electronics or reading or doing something enjoyable when I can't sleep at night. Yeah, after 30 minutes of tossing and turning, I got up, and cleaned for an hour. The kitchen looked pretty good when I was done. And then I was tired. I decided against free lunch, and instead to go to lunch with Terra and Eryn and Avery at L&J's. I left Tom in charge, arranged for Charlotte to pick up Eme from Volleyball and drop her off at the house, and I left with Terra and the girls for lunch. First stop, Post Office to mail Captain America his package. And the lady at the counter had the COOLEST nails. I totally tried to sneakily take her pic, but the darn flash went off. hehe. I was like, "Sorry, but you're nails are AWESOME!". LOL! We play FourSquare, and sometimes at check-ins, you get bonuses. And for Terra's 5th check in at L&J's, we got FREE chips and queso. Cool, huh??? We all ordered, got our food, and there wasn't space on the table for all of it - hehe. Yummy! My salad. I ended up eating 1/2 of it, no shell, and brought the rest home as my "babysitter bonus". Terra let me bring her leftovers home for Tom, too. Chicken Tacos. And I brought home the chips and queso. My kids were gonna be excited! I think we all must have been a bit tired. We were very low keyed and relaxed at lunch. I was SUPER full super fast. Yeah, full body girdle at work... I couldn't wait to get home and take it off! We paid, and headed out. And drove over to the Cielo Vista mall. The girls wanted to look around. We were there for about 30 minutes, then headed home. I SO needed a nap. Here's me with my Howdys water. Anyway, I decided to bump up my pool schedule. And drop Jake off at the youth center. For all of our sanitys! We got into swim gear, loaded up in the truck, and drove on over to the youth center. And dropped Jake off. He didn't need picked up until 9pm. Sa-weet! We headed to the pool, and met Amanda there. And Terra. And Kari. And Becky. And Paige and Lynette came later. And we made a new friend named Tara. She had 4 kids, and seemed super nice. We stayed from 2 ish until 5 something. And had SO much fun. I got in the water a few times, and had a ball chatting with all my different friends. We got home, had dinner, and relaxed for the evening. I watched some 24, and finished off season 4. Kids cleaned their rooms, and had electronics free time. At 7pm, I got a call from Jake saying that the Youth Center was closing early because there wasn't enough kids there. Crap. So I loaded up in the truck in my jammies, and headed to pick him up. LOL. We got home, kids finished rooms, I took a nice, relaxing bath, and we watched a movie together. 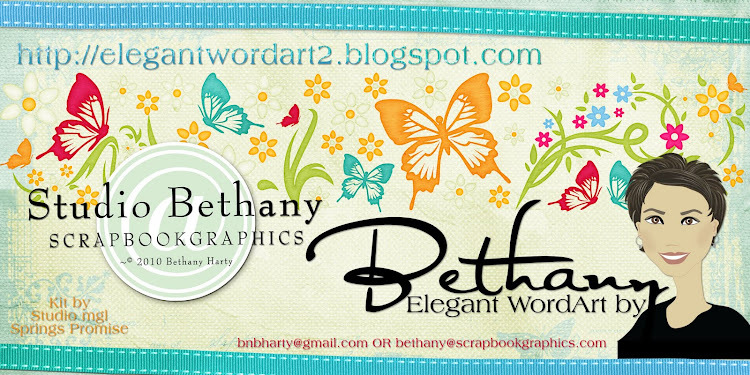 I designed a few wordart packs, and then proceeded to make this layout. hehe. Funny, huh? I put the little kids to bed, and Jake and Tom and I started a movie. And I started blogging. And I think my head is starting to hurt again. I'm not liking this... Maybe it's just lack of sleep. I really didn't get a lot of sleep last night. No one wake me up tomorrow, I'm sleeping in, ok? Thank you so much for this post. 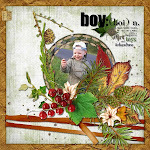 I want to let you know that I posted a link to your blog in CBH Digital Scrapbooking Freebies, under the Page 9 post on Jul. 02, 2011. Thanks again. That was an amazing looking salad/taco thing! Yum! Great word art as always!